If you are under the age of 30, are in tune with pop culture, or are interested with the oddities of fashion and streetwear, then you are more than familiar with the iconic brand Supreme. 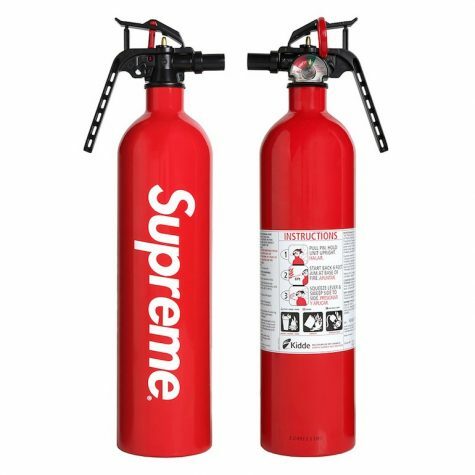 Known not only for its quality pieces of clothing, Supreme has made a namesake in the art of collaborating with unexpected brands to create extremely unique items, ranging from chopsticks to motorcycles. The juxtaposition of buying a $20 dollar Supreme Hanes t-shirt vs. shelling out thousands of dollars for a Supreme Louis Vuitton backpack is part of the mystique surrounding the brand. However, the brand’s explosion in popularity has started to hurt the niche group of consumers who actually enjoy the quirkiness and collectability of the goods, as more and more “hype beasts” line up for goods they cannot appreciate. I had the opportunity to go to one of the six Supreme locations in the world when I visited Los Angeles this summer. Keep in mind this was a Wednesday afternoon near closing time in the middle of the summer, and yet there was a 30 minute line to get into the store. There was armed security guarding the sole entrance/exit and even after exiting the building I was stopped by security to check my receipt. There wasn’t even a special collaboration that had dropped that day or anything like that: Supreme has truly become a spectacle to behold. I know a fair amount about streetwear and I went into the store with the intention of purchasing some clothing that spoke to me. As I browsed the artistic shelves, with a small skate rink set up in the back of the store, I couldn’t help but notice the dichotomy of shoppers in the store. Although there were several shoppers like myself who knew what they were doing and knew what to look for, there were just as many, if not more, shoppers who might as well have been wearing I Heart Los Angeles shirts and posing for pictures, as they were obviously treating the store like a tourist destination and clearly not buying anything. Frankly, I am not sure which group I would rather be in at this point. I am not ashamed to say that I love Supreme and that I keep an active eye on the latest releases and collaborations, but as I walked into that store during the summer I almost felt ashamed of this passion. Even though I know that there are like minded people who appreciate what Supreme is doing for the streetwear and fashion community, I know that more often than not the people who know about Supreme and actively purchase its items are doing it for the wrong reasons. The majority of these people are what are known as “hype-beasts.” Hype-beasts are people who purchase clothing that is expensive or that society deems as high end or rare and wear it only for these reasons. I saw too many people in that Supreme store wearing thousands of dollars’ worth of clothing that either looked horrendous or was clearly an attempt to metaphorically flex the person’s supposed wealth. The sad thing about this is that they’re wasting their money on an attempt to fill some sort of void they think this clothing will fill, when they might be living paycheck to paycheck. This may sound presumptuous, but when an actual brick with the word Supreme on it sells out in minutes, it is clear some people are simply buying the goods for clout. Far worse than the hype-beasts are the re-sellers. Re-sellers do whatever it takes to acquire the already rare and expensive Supreme goods and mark up the price astronomically. I’ve seen jackets sell for $10,000 that were originally in the $500 dollar range. These people clearly have no passion for the streetwear and what it represents, and instead have created a toxic multi-billion dollar re-sell market for sneakers and other streetwear pieces. This leaves high school students who earn their own spending money to have to shell out hundreds of dollars for an item, making them feel insecure and shameful when someone with their parent’s credit cards can shell out thousands of dollars for the re-sale market price goods. Then there are the people in the store acting like a Supreme hoodie is the Statue of Liberty or the Hollywood sign. This delegitimizes what some people, including myself, view as a form of artistic expression as everyday items become consumer rarities with the addition of a simple box-logo. These Supreme tourists have helped to make this brand much too mainstream and those who lack the understanding of what the brand represents see these people and assume the brand is a joke. While at its very core, it may seem silly that someone would pay $200 dollars for a Supreme harmonica, those who have followed the brand know that the fact that it is considered so valuable drives its worth as a piece of art. No one with an appreciation for art would hang the Mona Lisa in their kitchen, just like no true Supreme connoisseur would use their Supreme Calculator on a daily basis. Those who don’t understand what Supreme represents as a bran, fail to appreciate what it truly represents, and this creates a negative stereotype for the people that love the history, lore, and rarity of a Supreme product. Walking into that Supreme store in Los Angeles, I was a giddy streetwear fanboy ready to see what I perceived to be the pinnacle of street fashion. I began to question my motives when I waited 30 minutes in line with a group of five people with disposable cameras, two wearing at least a thousand dollars’ worth of clothing, and one man making a noticeably shady re-sell deal outside of his car. I was amazed by the diverse inventory, but I couldn’t help but notice who was shopping beside me. Even after I left I felt almost guilty for perpetuating the stereotype of a upper middle class white kid buying clothing that he should know nothing about, especially given my lack of skating knowledge, which is what most streetwear brands are built on. When the guard came over to check my receipt, I felt as if the brand I loved had deceived me as I felt it was no longer a community brand focused on art, but a large brand focused on profit margins. Although I know I will always be a Supreme fan in my heart, I will never see the brand in the same light again. I had always felt that culture appropriation was insignificant and almost a myth, but I believe I see it in a new light. Obviously, I am not comparing my experience with a brand with the cultural appropriation of actual ethnic groups who have had their cultures abused. However, I have felt like people making light of the Supreme culture has reduced the allure of owning an item as it has become less of a quirky art symbol and more of a mainstream status symbol among pop culture. It will be interesting to see where Supreme goes in the future, they had a collaboration with the New York Post once, so we might see a collaboration between Supreme and the Talon one day.